Back in March I received a VIP invitation to participate in the Dole Taste of Spain Salad Summit. There wasn’t much to think about – three days in Carmel, tours of the lettuce fields and processing plant, cooking class, tapas, meeting other food bloggers, Eating Well Magazine, dinners, winery lunch and all being sponsored by Dole Salads – my answer was a resounding YES! 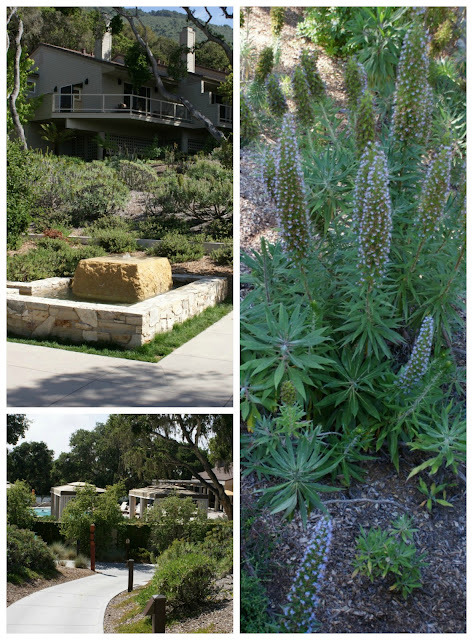 Dole chose Carmel Valley Ranch to host the Taste of Spain Salad Summit. 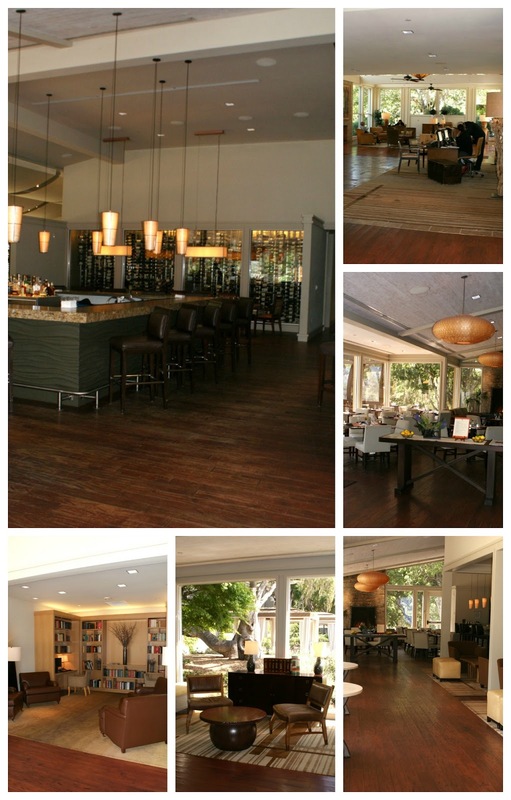 It is a 500 acre playground (fabulous resort) which includes great dining, a spa, stunning pool, guided hikes, valley views, garden tours, golf and tennis, nightly s’mores, tree swings and dazzling spacious suites packed with all the comforts of home. The resort is nestled inside a gated community in Carmel Valley at the top of the hill with magical views. The décor is breathtaking, rich, comforting and perfectly appointed to match the outside. Large windows bring the outside in and blend with the landscaping to be simply perfect. You immediately feel welcome and never want to leave. 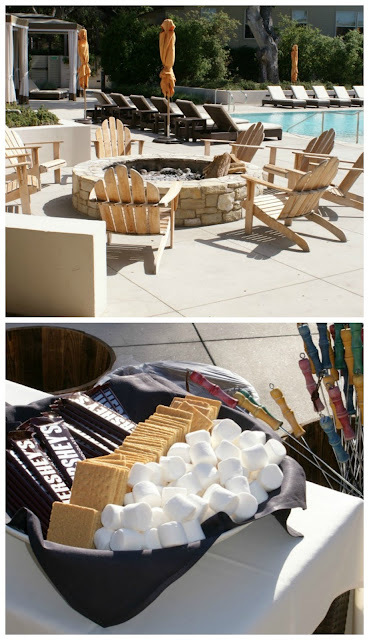 After getting my items settled in the room, I strolled down to the pool area and soon met several of the other bloggers who were attending the event. It was great to meet Ali, Brenda, Chung-Ah, Heather, Heidi and Liz. It was great to meet Heather in person, since we had been blog and social media friends for a few years. The poolside welcome reception would start in shortly and we all decided to freshen up. The reception featured Sangria Verde and Sangria with Muddled Strawberries and Arugula, which were specially designed by Dole. Joullian Pinot Grigio and Syrah were featured along with two bite sized tapas. First tapa was manchego cheese wrapped in roasted red bell peppers along with a tuna Crostini – both extremely tasty. It was a distinctive cocktail hour with several key members of Dole attending and truly interested in who we were and what our blogs entailed. It was great to meet Bob and Mike from the PR Firm Dole works with and who orchestrated coordinating all of the bloggers – they did a fantastic job. Hats off to both of you! I was energized to meet all of the bloggers at the cocktail party and made my way around to meet Catherine, Dawn, Jane, Kristen, Marie, Megan, Christy, Nikki, Sandy and Tessa. I was familiar with several of the blogs and thrilled to be able to check out new ones. How great was it to be with fellow food bloggers for a few days. We all love food, Instagram, blogging and talking – what more could you ask for. The cocktail reception seemed to whirl by and next thing we knew we were heading into a private room for dinner. We were intermingled with folks from Dole which gave us a great opportunity to learn more about Dole, the culture and the products. Dole Salads has created long lasting partnerships with the farmers in the Monterey and Salinas regions which now have second and third generations running the farms and creating outstanding opportunities for individuals to live a rewarding life. Dole has outstanding tenure among its employees with the average being 15 to 25 years for a large number of folks. I sat next to Gil who is the Director New Product Development and learned a lot about what goes into creating new Dole products - simply fascinating. You can sense that people love working at Dole along with being a partner to provide the world’s freshest and most compelling products. After looking at Dole’s website and reviewing their mission along with meeting numerous individuals who have made Dole their home, their mission rings true. Mission: Dole Food Company, Inc. is committed to supplying the consumer with the finest, high-quality products and to leading the industry in nutrition research and education. Dole support these goals with a corporate philosophy of adhering to the highest ethical conduct in all its business dealings, treatment of its employees and social and environmental policies. After dinner you can enjoy the nightly indulgence of s’mores by the pool. How cool is that? Morning had arrived. We were treated to a lavish breakfast of fresh fruit, by Dole of course, yogurt parfaits, along with bites of specially developed recipes that mirrored the Spanish theme. We were then whisked off in a luxury bus to the lettuce fields in Salinas about an hour away. We were able to chat in the bus and get to know one another. We pulled off the main highway to the lettuce fields. I had always seen it from the freeway but never dreamed I would be walking through the fields in a few minutes. We first have to adorn our hairnets – stunning I must say. Smile. Our tour of the Dole Growing Field was led by a Dole Farmer Mark Pisoni whose farm we toured. He shared his farming philosophy and passion for the land. With hairnets secure, we began our journey through the iceberg lettuce. It was amazing how just a few heads of iceberg were left, but the majority were cut by hand and then trimmed and lightly washed. Once ready, they went into large boxes and were whisked to the Dole processing plant. We learned that freshness is extremely important and it is less than four hours from farm to package. We tasted the iceberg and it was amazingly tasty and you certainly can’t get any fresher than that. My career is in the Human Resources field. From my perspective, it is important to understand how employees are treated and the culture of various organizations. After speaking with several Dole employees, I realized that the farm workers are paid fairly, given breaks after every two hours along with lunch and treated extremely well. You can sense that each person on the production line has an immense work ethic and is proud of what they do. It was very interesting to get up close to the production line and see how they set the head of lettuce on top of a small block and is washed prior to moving forward to the box. The fields typically produce 3 to 4 crops per year for maximum yield, which is good for business along with employment of the farm workers. 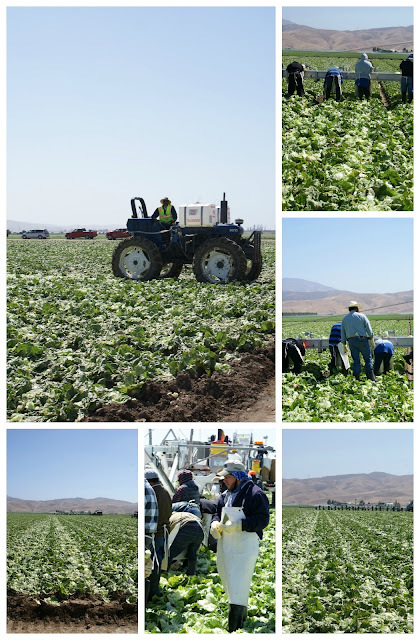 We headed to see what happens to the lettuce once it arrives at the Dole plant in Soledad. Since they have a proprietary manufacturing process, they asked us not to take photos during the tour. Essentially the product arrives, get cut into pieces, washed again, thrown into super large salad metal salad spinners and up onto a conveyor belt. Once it hits the top, it is portioned out and placed into sealed plastic bags that leave the right amount of oxygen to preserve the lettuce as long as possible - amazing technology on freshness. We headed to one of the labs at the processing plant. Set before us were bins of about 25 different lettuces. We quickly found out that we were having a quiz to name all of the lettuces. Emilio lead the charge for this part of the tour. I thought it would be easy, but learned that it was not. Luckily we were given a “Lettuce 101” binder as a guide to take home. By now we were getting hungry and excited for our next stop at Paraiso Vineyards in Soledad. 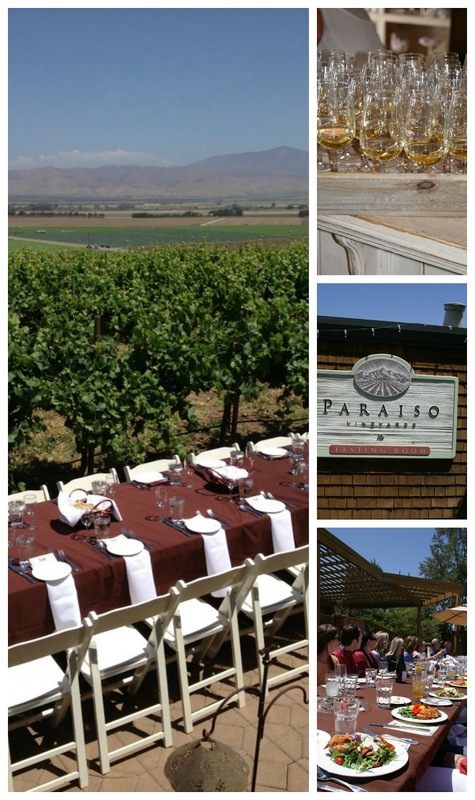 Paraiso Vineyards consist of 400 acres that lies at the southern end of the Santa Lucia Highlands in Monterey County. Rich and Claudia Smith began planting in 1973 and today Rich and his son Jason manage almost 150 vines. It is truly a family business and a labor of love. We enjoyed passed appetizers along with their Riesling before sitting down for lunch. Met Julie who resides in the Bay Area. The Empanadas filled with Spanish Manchego Cheese, Roasted Garlic and Chorizo Sausage was out of this world delicious. These are a must make and you will certainly see on the blog in an upcoming post. All of the wines were extraordinary and made with precision and love. We headed back to the resort for our next adventure. 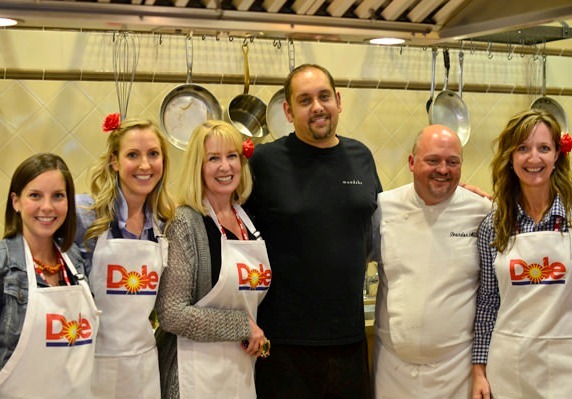 Dole partnered with Eating Well Magazine as one of their 2013 culinary partners and was part of the Taste of Spain Salad Summit. We had the distinct pleasure of meeting and able to interact with Lisa Gosselin, Editor-in-Chief and Stacy Fraser, Test Kitchen Manager for Eating Well Magazine. Lisa gave a wonderful presentation on Global Culinary/Eating Trends. It was interesting to learn that through their research – pancakes, lasagna and banana bread was among the most searched for on their website. Okay another fact that will surprise you – goat is the most popular meat in the world and asparagus is the favorite vegetable in America. Next we had a sneak peak into what our dinner would be like that evening. Gabriel Georis who is the owner of Mundaka Restaurant in Carmel along with Brandon Miller, the Executive Chef gave a presentation and cooking demonstration. Both Gabriel and Brandon understand Spanish cuisine since they have spent time in many parts of the country including the Basque region. An interesting fact: the word Tapas came from folks having a drink and placing a small plate on top of the glass to keep the fruit flies away. The bar owners thought to add small bites on top of the plates and top with salty marcona almonds which in turn made the customers thirsty and order more drinks. 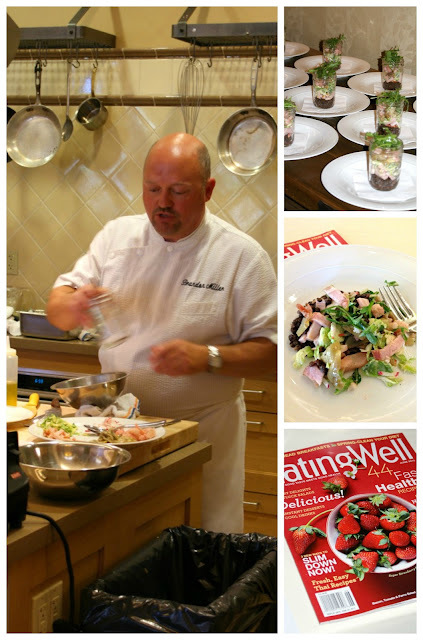 Chef Miller demonstrated a classic frittata along with serving a delicious salad in a jar. The salad had pickled cauliflower, shaved Brussels sprouts, ham, lentils and a creamy dressing. Gabe shared the concept of Pintxos. It is a snack, typically eaten in bars, traditionally in Basque country. They are related to tapas, but are usually “spiked” with a skewer or toothpick, often to a piece of bread. We were quickly divided into four groups to create our own Pintxos and a winner would be determined. My group won for “most creative” since Dawn came up with the idea to re-create the Spanish Dole lady on the salad bag. It was fun! 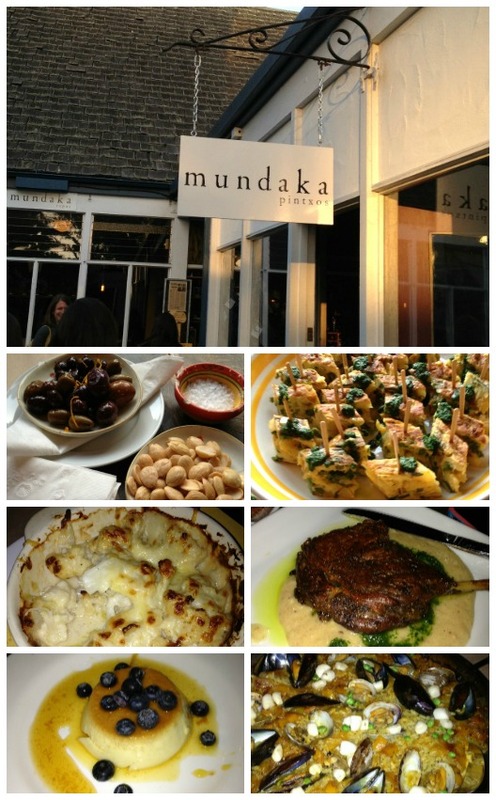 Off for a quick nap and next up was our magnificent dinner at Mundaka in downtown Carmel. From our preview of what was to come, I knew I would not be disappointed. From the crispy chickpeas with truffle salt to the cauliflower gratin to the flan with cardamom and blueberries, the entire experience was marvelous, memorable, fun and inspiring. The next morning we were treated to a delicious breakfast and a presentation by Stacy Fraser who is the test kitchen manager for Eating Well Magazine. She shared her tips and tricks for creating recipes that are well tested and can be published. She talked about the art of developing, testing and writing magazine ready recipes. She is extremely knowledgeable and passionate about her career. After her presentation, our three day Dole Taste of Spain Salad Summit was coming to an end and many opted to take the Pebble Beach 17 Mile Drive excursion. I needed to head back home but completely enjoyed my time at the summit. Thank you Dole for inviting me and giving me a new perspective on how terrific your company, people and products are. I loved meeting new food blogger friends and having the opportunity to interact with Lisa and Stacy from Eating Well Magazine to gain a greater appreciation of what goes into producing a world class magazine. Just a quick sneak peak – coming in June I will be hosting a VIP Taste of Spain House Party featuring sangria, pintxos and tapas. The party will be documented and shared with all of you. Thank you again Dole – you are the BEST! What a fun experience, I love Carmel Valley Ranch! 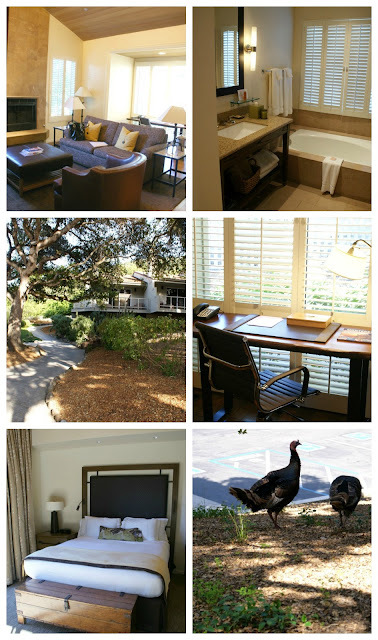 It was a ton of fun and Carmel Valley Ranch is someplace I will visit again! Loved this recap! It sounds like you had a great time. And it's so neat when companies are conscientious producers. It was a great experience and thrilled to have been invited. Lovely experience for equally lovely foodies! I love salads and Dole has always been a reliable go-to brand! We love Dole around here! It was so much fun! Thank you for the nice words! How fun! I didn't realize Dole was such a cool company. :) Thanks for sharing the photos and information! Fun wrap up of the event. Great to meet you! Thank you and great to meet you too! Incredible recap of such a wonderful company. 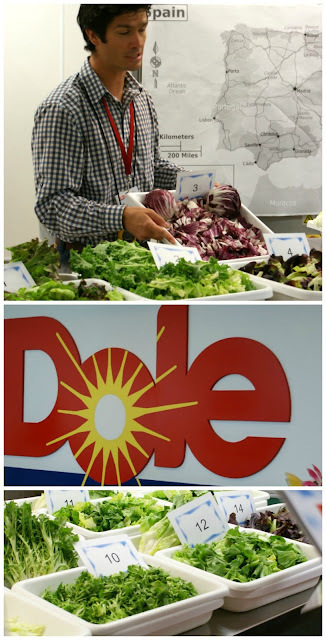 I really learned so much about Dole. It's very nice to hear how well they treat their employees. Loved this post! Thank you Lora! It is great to hear when a company does things right. Smile. It was so great to meet you, Lisa! I hope we get to see each other again, soon. Great to meet you too! If you are ever in the Bay Area - let me know. Thank you Patty! I actually thought of you when I saw the golf course! Great to meet you too - you have such great energy. I am proud of you that you tried the dishes. Thank you Jean! It was really fun and when I see you I can share details! Sounds like it was worth sporting a hair net for sure. How fun and I didn't know that is how lettuce is harvested. There is a lot of orchards here, but no lettuce. Great pictures of you Lisa, you look gorgeous as always. Hope you have a great weekend. Thank you Gina! It was really fun! Thank you for the kinds words and stopping by! Such a lovely trip this was, full of so much learning about Dole. And great food and people! It was wonderful to meet you, Lisa!